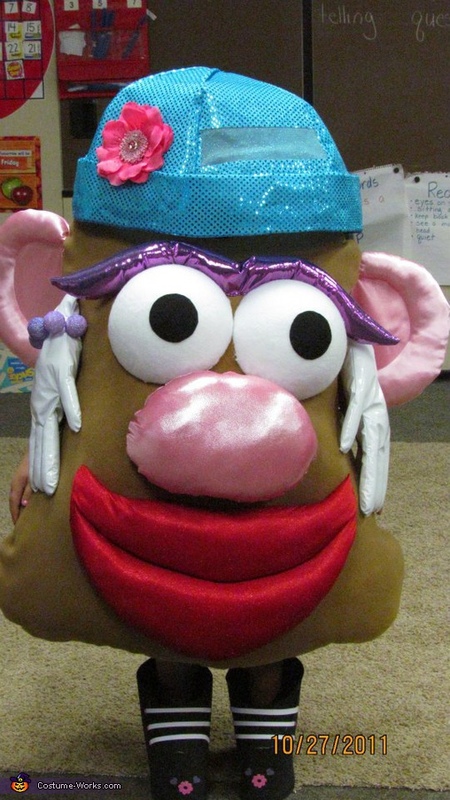 My wife and her best friend create our daughters costumes each year from scratch this year they made our 8 year old daughter a Mrs Potato Head and it was all done without any patterns and most of the materials were from past projects scraps. They do a wonderful job and so far this costume has been a huge success to everyone who has seen it already winning two large costume contests in our area. Very unique costume,What better than Mr.Potato head he has been around for generations.To neat,I love it and I am sure there were countless hours put into the making of this costume. Super costume! Wow! The workmanship is terrific and the attention to detail is fabulous Are you sure there is a kid in there? It looks fantastic! You ladies did a great job! I kinda of want an adult version for next year! :) Good luck! Amazing... Very professional looking.. Awesome attention to detail..Love it..Any kid would love to wear this costume..
Fabulous Costume!! Looks like there was great attention given to detail. It looks like it is right out of Toy Story on Ice! Very impressive! To get that kind of detail without a pattern is quite a talent! I'm sure your daughter had a fantastic time on halloween. What a great thing to do for your kids. Amazing job on the costume!!! And from scratch?! Excellent work ladies! U need to make it a business. This costume is great. It brings me back to my childhood. Your skill and talent in making this costume shows in all the detail. I hope you win. Awesome! You did a great job! I have been showing everyone this costume. What great detail you have created without even having a pattern. Good luck!! You did an Awesome job......what a clever idea!! I like the idea of using past project scraps. Good Luck! !